Pour 1 cup of milk into large bowl, and thoroughly mix in pudding mix, pumpkin, cinnamon, ginger, and cloves. When thickened, spread over cream cheese layer. Refrigerate 4 hours, or until set. 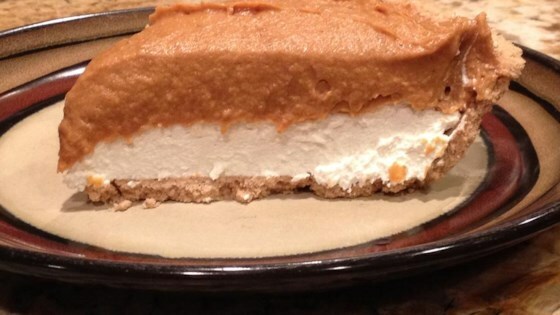 This rich and creamy cheesecake is a great alternative to pumpkin pie. I really love this and have lots of requests for it. The only thing I do different is substitute half and half for the milk. It really makes a difference.